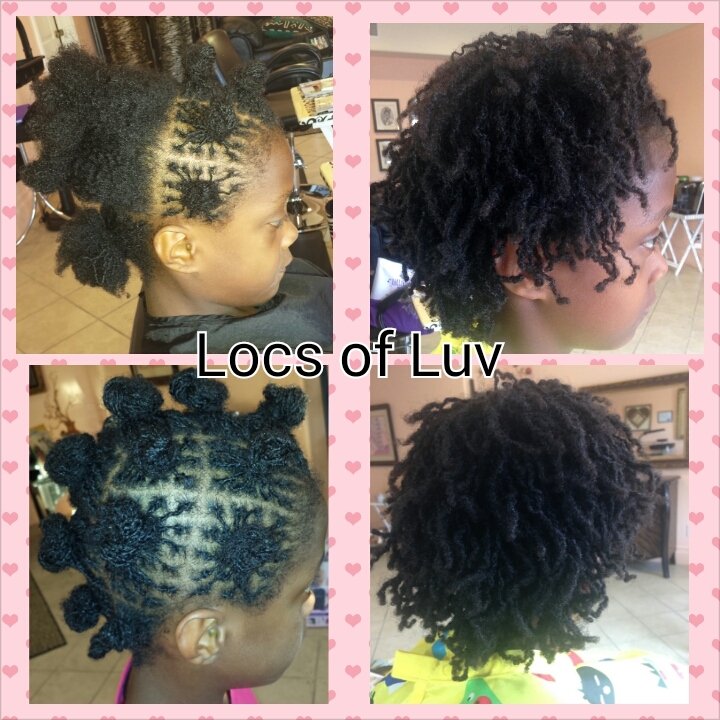 Welcome Home Sis to Sisterlocks! My client colored her hair prior to the establishment of her locks. This is advised because color is not encouraged until after her new locks have settled in The settling in of new locks can take up to three months or longer in some cases. We’re both delighted with the outcome and look forward to her five week follow up. Follow this blog to see her progress in five weeks. 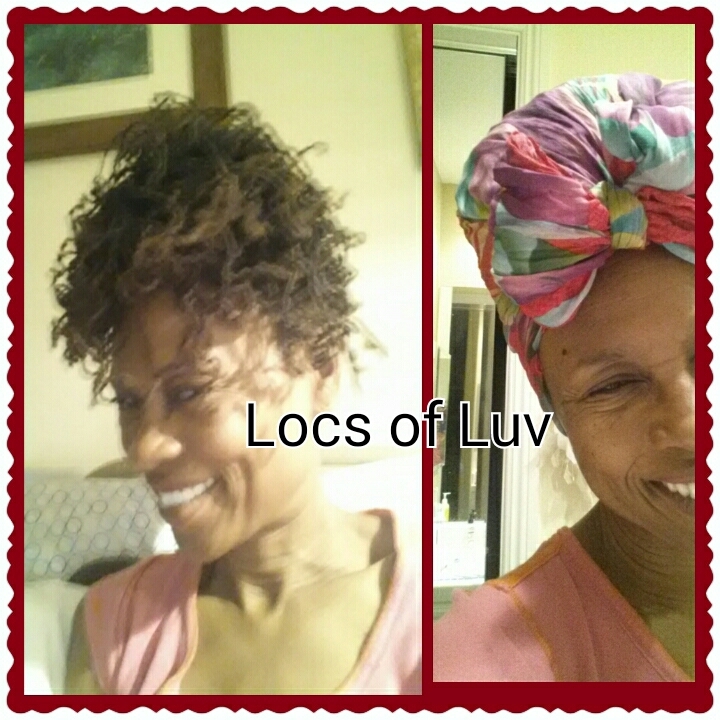 In order for your Sisterlocks to look beautiful for years to come they need a little help, especially at night. So many fail to prepare their locks for bed, sounds hilarious right? As funny as it sounds your bedtime hair regimen will determine if your locks remain lint free from your sheets, blankets, night-clothes and pillow cases. Just as you wouldn’t go to sleep without brushing your teeth among other bedtime rituals protecting your locks should be high on your list of things to do. For some with thick locks as well as those going through menopause using a scarf can be too hot, many beauty supply stores sell hair wraps that allow for more ventilation. Let’s get that head ready for bed!! Finger comb your locks to the top of your head, for those with longer locks put them into a pineapple style. Use a silk or satin scarf, fold the scarf into a triangle, wrap the back of your head with the broad side of the scarf, tie the two ends together at the top. Silk scarves are hard to find, the last two I purchased from a resale store, you can also shop for silk at a fabric store and make your own, silk is a natural fabric which is a lot cooler than cotton and stays put, it doesn’t move around as much as satin and other materials, stay away from cotton scarves as they can absorb your natural oils and cause your hair to be dry. Wrapping your hair at night keeps them lint free in addition to protecting your style. This is one thing I know from 15 years of personal experience to be true. Sweet dreams! What’s your bedtime regimen for your Sisterlocks or natural hair? 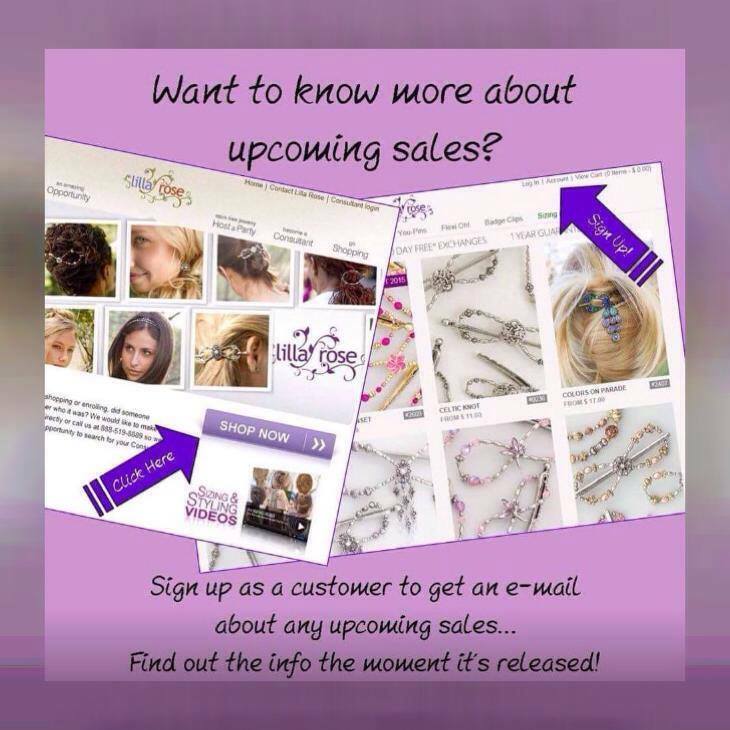 Please follow and share this blog with your friends who wear their hair natural or who may be considering doing so… Thanks! 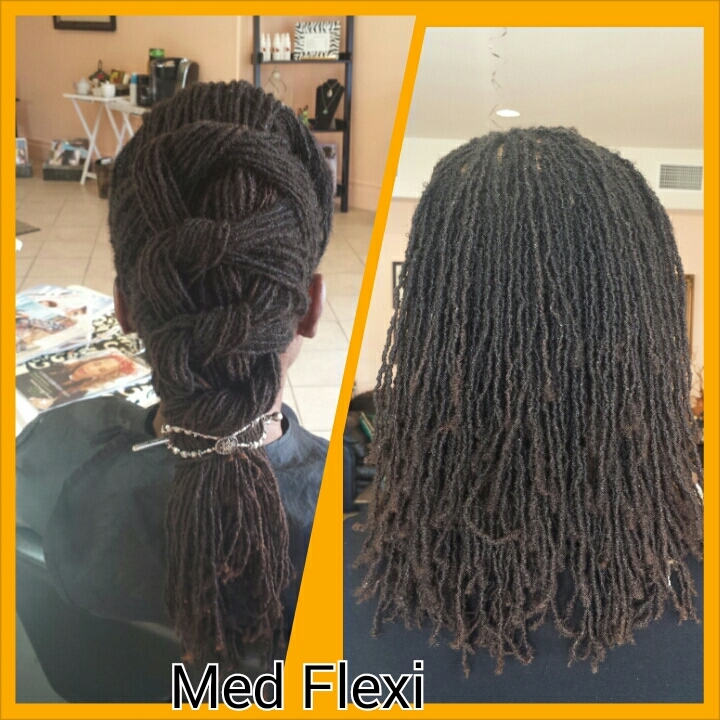 One of the many benefits of the Sisterlocks lifestyle is that it allows you to pursue your passions. On this past weekend I got to spend time doing one of the things I love most. 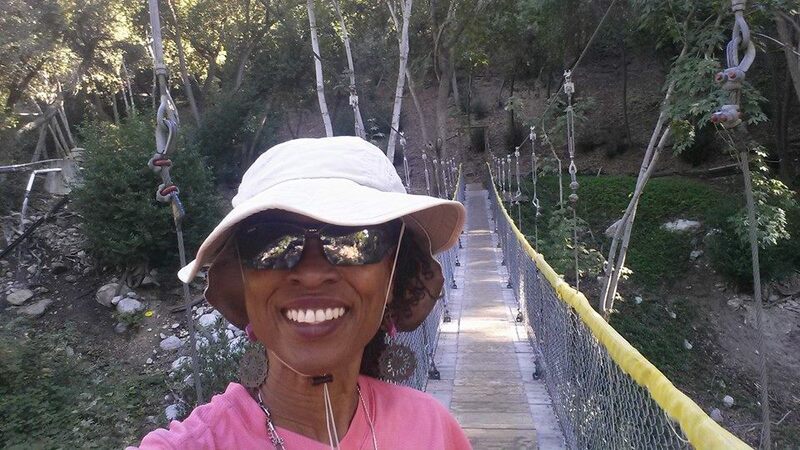 I got to hike the trails surrounding the Loch Leven Christian Conference Center in Mentone California. Long gone are the days when you worry about what to do with your hair after a major event or activity. 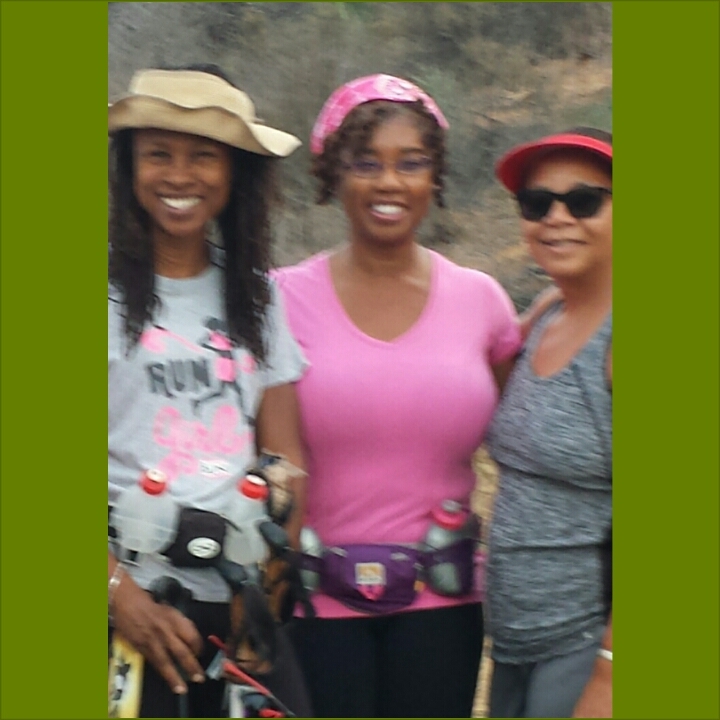 Sisterlocks take away the myriad of excuses as to why one can’t exercise. Recently I googled top excuses as to why women don’t exercise, the top excuse was not enough time. Well, we can strike that excuse off our list, the time we save by not having to style our hair prior to exercise or spend a lot of time afterwards can now be used on exercising. Be active…get moving! Aim for 30minutes 5 days a week or more. Move more! For those with health problems consult your health provider first. Be a Diva about your health as well as your hair. 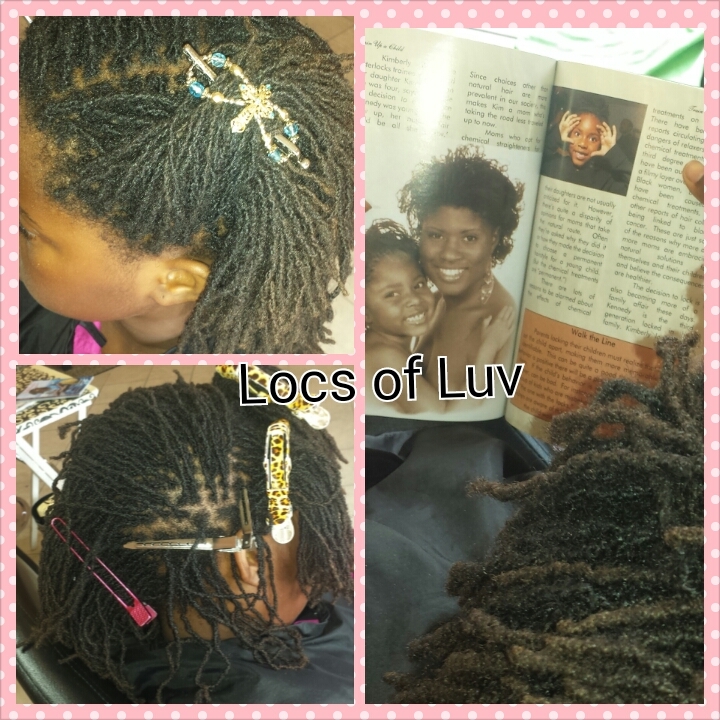 At age eight our granddaughter decided she was ready for Sisterlocks. I was obliged to start her on her journey, four years later she’s rocking her shoulder length Sisterlocks. Happy 12th Birthday Reni! 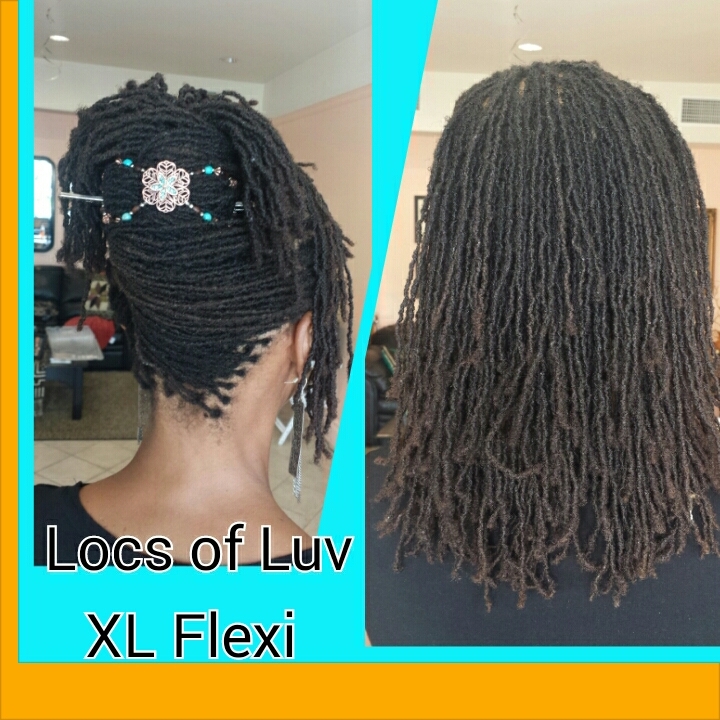 Sisterlocks Follow Up Appointment…Five Weeks In! 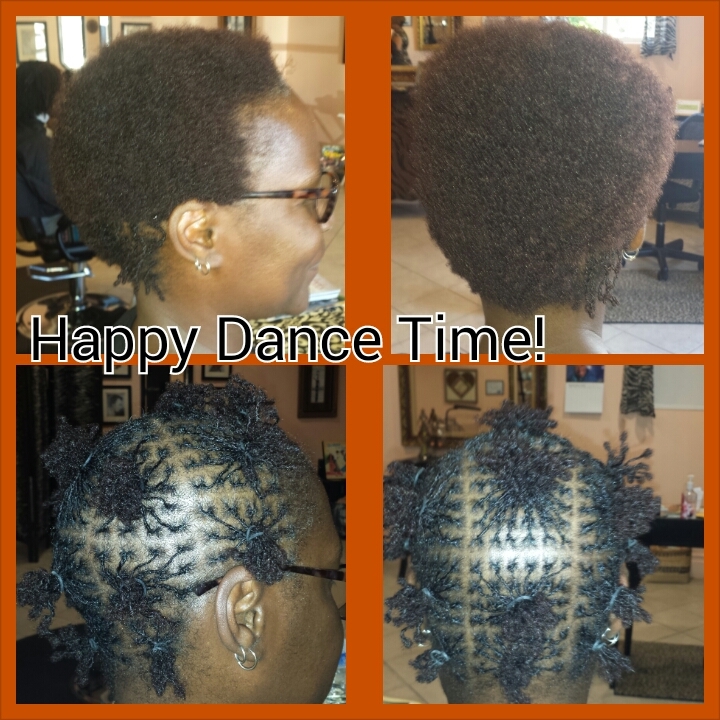 Five weeks ago today this doll received her Sisterlocks, her 4C type hair is ideal hair for locking. Special instructions were given to mom to ensure that the locks would get off to a good start. The mom was shown how to bundle, shampoo and separate the locks. This little one loves swimming in the ocean, during swim time mom makes sure the hair is covered with a swim cap in addition to making sure the sand is removed from the locks after swimming. Wearing a swim cap greatly reduces the amount of sand that can get in the locks. The best way to remove sand from the locks is to allow the locks to dry then gently move the locks around to dislodge the sand. As a side note mom says that life in the house has been so much calmer, her relationship with her daughter has improved drastically, they don’t miss the tears over combing hair, the added bonus is that mom has gained five hours back in her schedule, this means a lot being the mother of three small children. 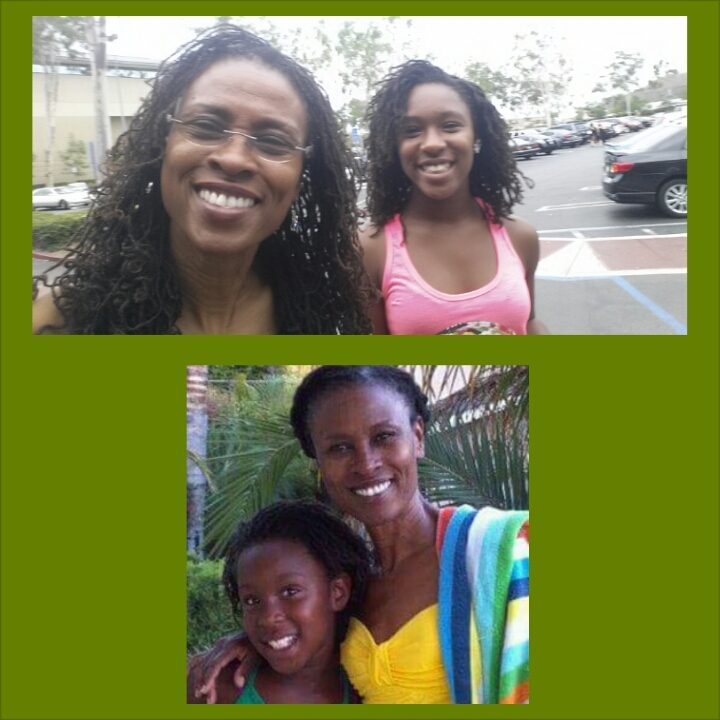 Swim time with Sisterlocks…What Joy!! For myself, I’ve found that procrastination is a thief and a killer of creativity. Waiting until the last minute to complete a project or do anything causes you to stress and the quality of your work is greatly diminished. I’ve often heard it said. “I do my best work under pressure,” or “I just can’t get it going until the last hour.” I’ve found that when I operate like that I always have regrets about what I should’ve done or said, my self esteem plummets because I’ve again not been as prepared as I should’ve or could’ve been. Time management is one way to overcome the bad habit of procrastination, the only problem is procrastinators aren’t creative enough to mange their time…So what’s a procrastinator to do? Wait for tomorrow, maybe the answer will come then. To style or not to style….